Nationality: American. 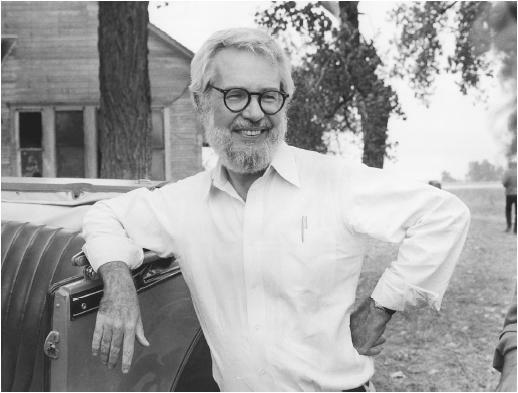 Born: Robert Douglas Benton in Waxahachie, Texas, 29 September 1932. Education: University of Texas, and at Columbia University, New York City. Military Service: Served in U.S. Army, 1954–56. Family: Married Sally Rendigs, 1964, one son. Career: Art Director of Esquire magazine, New York, 1957–61 (consulting editor, 1962—); began screenwriting partnership with David Newman, on Bonnie and Clyde , 1967; directed first feature, Bad Company , 1972. Awards: National Society of Film Critics Award, New York Film Critics Award, Writers Guild of America Award and Oscar nomination, Best Screenplay, for Bonnie and Clyde , 1967; Oscar nomination, Best Screenplay, for The Late Show , 1977; Oscars and Los Angeles Film Critics Association Awards for Best Screenplay and Best Director, Golden Globe Award for Best Screenplay, Writers Guild of America Award and Best Director, National Society of Film Critics and Directors Guild of America, for Kramer vs Kramer , 1979; Oscar for Best Screenplay, for Places in the Heart , 1984; Oscar nomination for Best Screenplay, for Nobody's Fool , 1994. Address: c/o Sam Cohn, International Creative Management, 40 W. 57th Street, New York, NY 10019, U.S.A. The in and out Book , with Harvey Schmidt, New York, 1959. Little Brother, No More , New York, 1960. The Worry Book , with Harvey Schmidt, New York, 1962. Extremism: A Non-Book , with David Newman, New York, 1964. Don't Ever Wish for a Seven-Foot Bear , with Sally Rendigs, New York, 1972. Interviews in Film Comment (New York), March/April 1973, January/February 1977, and July/August 1978. Interview in American Film (Washington, D.C.), July/August 1979. Interview in Image et Son (Paris), April 1980. Interview with Leslie Bennetts, in New York Times , 7 October 1984. Interview in Time Out (London), 28 February 1985. Interview with Sheila Johnston, in Stills (London), March 1985. Interview with P. Calum and A. Skytte in Kosmorama (Copenhagen), May 1985. Interview with P. Freeman, in American Screenwriter , vol. 4, no. 4, 1987. Interview with L. Vincenzi in Millimeter (Cleveland), August 1987. Interview with Andrew Sarris, in Film Comment (New York), January-February 1995. Interview with Brian Case, in Time Out (London), 8 January 1992. Interview with Geoff Andrew, in Time Out (London), 22 March 1995. "Robert Benton," in Film Dope (London), August 1973. Sight and Sound (London), Autumn 1973. Millimeter (New York), October 1976. Collins, G., "Robert Benton Goes Back to Texas for a Little Fun," in New York Times , 2 August 1987. Sarris, Andrew, "A Low-Rent Romance," in Village Voice (New York), 11 August 1987. Almendros, Nestor, "Benton, Texas," in American Cinematographer (Los Angeles), September 1987. Talty, S., "Inside Billy Bathgate ," in American Film (Los Angeles), July 1991. Weinraub, Bernard, "With Kevin's Gate and Billygate, Filmdom's Love of Gossip Blooms," in New York Times , 17 September 1991. James, Caryn, "Film View: A Hole in the Heart of Billy Bathgate ," in New York Times , 3 November 1991. Krohn, B., "Histoires de gangsters, historie d'Amerique," in Cahiers du Cinema (Paris), February 1992. Campbell, V., and Margulies, E., "Shrink to Fit," in Movieline (Los Angeles), October 1992. Lally, K., "Benton Returns with a Tale of Small Town Redemption,"in Film Journal (New York), January-February 1995. There were many ways to make it as a bigtime Hollywood director in the 1970s. Robert Benton's experience provides a common mode: a successful screenwriter turned director. Benton teamed with another aspiring author, David Newman, to pen the script of Arthur Penn's wildly successful, highly influential Bonnie and Clyde (1967), a film that showed Hollywood how to meld comedy, melodrama, and social commentary. The story of how Benton and Newman came to write Bonnie and Clyde is the stuff of Hollywood legend. In 1964 they were working for Esquire magazine, developing the magazine's annual college issue. As they were crafting the magazine's infamous Dubious Achievement Awards, they became caught up with the art cinema of Ingmar Bergman, Federico Fellini, and Akira Kurosawa. They decided to attempt an American version of Jean-Luc Godard's Breathless through the story of two desperados of the 1930s, Bonnie Parker and Clyde Barrow. Benton and Newman wrote a seventy-page treatment in which they tried to make their film feel like an Hitchcock thriller, but with the comic violent tone of François Truffaut's Shoot the Piano Player. First they sent the "Bonnie and Clyde" script to Truffaut, who passed on it, as did Jean-Luc Godard. Warren Beatty rescued the project, agreed to produce it, and Arthur Penn became the director. Here were the first members of the film generation of the 1960s making what in some ways came to represent the most influential film of the decade, for it captured the restlessness of an age as well as the era's ethical ambiguity. Bonnie and Clyde at once demonstrated that Hollywood films could successfully incorporate the stylistic flourishes of the French New Wave into Classic Hollywood genre material. The Bonnie and Clyde script won numerous awards, and the duo went on to co-script There Was a Crooked Man (1970), What's up Doc? (1972), and Superman (1978). The last two proved Benton and Newman were able to make movies that made money. What's up Doc? finished in the top ten earners for 1971; Superman generated more than 100 million dollars worldwide. But Benton aspired to be his own director, and he worked single-mindedly at that goal during the 1970s. Success came with Kramer vs. Kramer (1979), Benton's third directorial effort. Based on his screenplay, Kramer vs. Kramer won the Oscar for Best Picture, Best Actor (Dustin Hoffman), Best Screenplay, Best Director, and Best Supporting Actress (Meryl Streep), a sweep rarely accomplished in Hollywood history. More importantly for Benton's future, Kramer vs. Kramer finished atop the domestic box-office rankings for the year. Robert Benton had reached his goal; he was as hot a property as there was in Hollywood as the 1980s opened. But thereafter Benton's filmmaking successes were limited. He did reach another peak in 1984 with Places in the Heart. The film, which featured Benton's award-winning screenplay, was one man's affectionate look at life in his hometown of Waxahachie, Texas, during the hard days of the Great Depression. On the other hand, Benton's Nadine (1987) was also set in Texas, but this comedy failed to capture either the fancy of the critics or the public. As Benton moved into the 1990s, many saw him as the principal case of the power of the screenwriter as auteur. Perhaps this is so, but continuing success at the top—a Hollywood prerequisite if one wants to control one's movies—seemed to have sucked the life from Benton's story-telling ability. Some speculated that Benton, who had crafted fine stories of outsiders from Bonnie Parker to the aging detective of The Late Show , had difficulty functioning as a member of the Hollywood establishment. Benton's most recent films have been set in the environs of upstate New York. Billy Bathgate , based on the E.L. Doctorow novel about a young man's involvement with mobster Dutch Schultz, has much going for it, beginning with a talented cast (headed by Dustin Hoffman and Nicole Kidman) and superlative production design. But the shoot was troubled, resulting in acrimony between Benton and Hoffman and a curiously emotionless and eminently forgettable film, despite the presence of the always watchable Hoffman (cast as Schultz—a character altogether different from his Ted Kramer character). Nobody's Fool , based on a novel by Richard Russo, is far more successful. The characters are less flamboyant than those found in Billy Bathgate ; as an evocation of time and place, and a portrait of small-town American life, the film is closer in spirit to Places in the Heart. Paul Newman is nothing short of superb as Donald "Sully" Sullivan, an aging, out-of-work construction worker. Long-estranged from his family, the film follows events when he is forced to deal with his son and grandson. Also central to the story are Sullivan's relationships with various townsfolk, including his landlady (Jessica Tandy), who once was his eighth-grade teacher, his sometime employer (Bruce Willis), and the latter's neglected wife (Melanie Griffith). Nobody's Fool works best as a film of moods and feelings; ultimately, it is a knowing, entertaining blend of poignancy and humor. As in his earlier films, Benton draws fine performances from his cast. While one would expect exceptional acting from Newman and Tandy, the filmmaker elicits solid work from Griffith and Willis, who rarely have been better on screen. I watched robert benton's "still of the nigt" several times,it really makes me scare in different way.I would like to see these types of movies more often nowadays.